Do you love stories about the untamed days of the Old West? Well, pardner, this is one collection of short tales you will not want to pass up. From old standards like Max Brand and Zane Grey to new authors and those in between, you’re sure to find these stories to your liking. Settle back in your easy chair and get ready for ten fantastic tales of action and adventure that will pull you right in and have you reaching for your own pistol as you read. In Zane Grey’s story, “The Horses of Bostil’s Ford,” a man’s horse means everything. Richard Prosch’s “Storm Damage” is the tale of a man finally getting the woman he always wanted. There’s nothing better than a dog in Big Jim Williams’s “Riding Fence”—where a loyal canine friend saves a ranch hand’s life in a blizzard. They say there’s a fortune to be made in picking up “Buffalo Bones.” Charlie Steel’s character, Smiley, will keep you guessing. In “Love’s Lonesome Serenade—The River Romance,” Lane Pierce pens a tale of escape and unexpected romance between a young gunman and a soiled dove. W.M. Shockley’s “Mordecai” is a man determined to hold on to what’s his to the very end—even if he’s not sure he wants it. “The Cure of Silver Canyon” is a wonderful Max Brand western short that blends plenty of drama, action, and emotion into an exciting read. 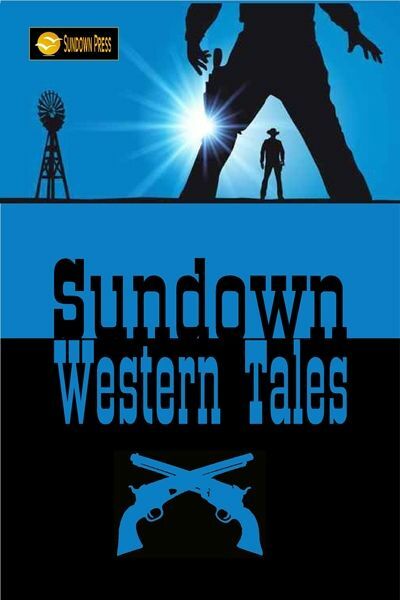 Don’t miss this new western anthology from Sundown Press.